Do you use Nespresso compatible pods? – Find in this article a few helpful tips on how to keep your machine in great condition during and after use. It is important that you keep your Nespresso machine in tip-top condition. Before you use the pods run a little bit of hot water through the machine to clean the inside out. Keeping it clean prevents it from getting clogged up with residue from other drinks you have previously made and allows you to freely create a nice fresh beverage with the greatest of ease. We also recommend you regularly descale your machine, Nespresso sells their own descaling kit or you can purchase descaling sachets from us at only 95p. 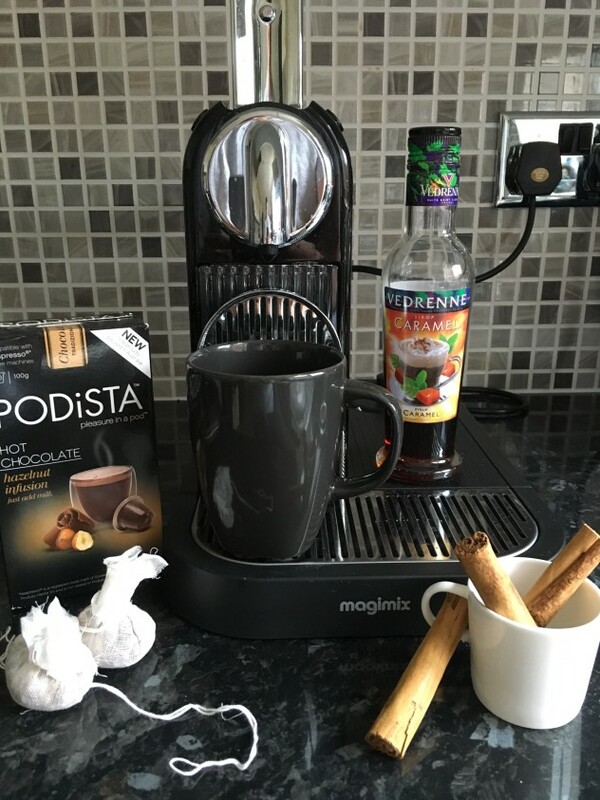 It comes as no surprise that most of us love some nice warm milk in our Nespresso hot chocolate and coffee. Which is why its extra important that we keep our aeroccino component clean too. Immediately after use make sure you remove the magnetic whisk and thoroughly rinse that first. Then rinse the main aeroccino component with warm water to clear any left over milk, wipe it out with a cloth and rinse again to avoid leaving behind any milk residue. 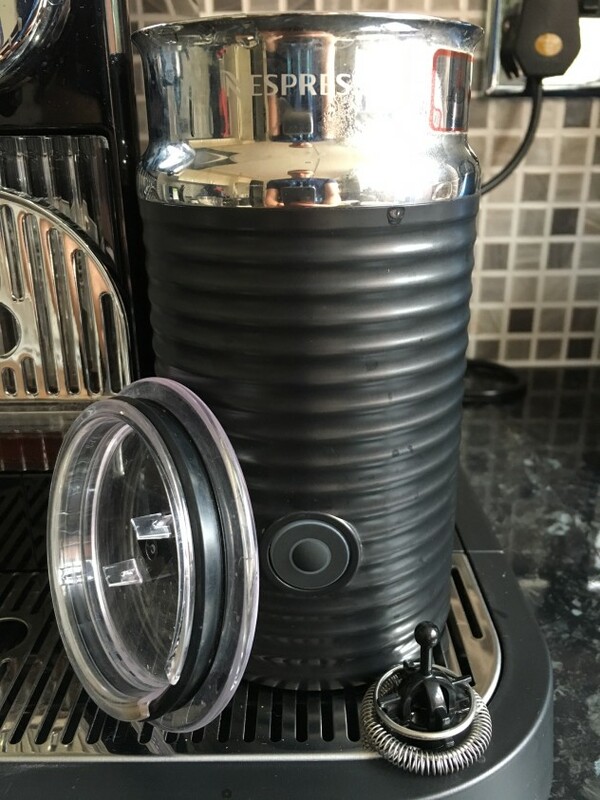 If any residue is left inside the aerocinno it can eventually begin to burn into the lining which can cause odour and in extreme cases, irreversible damage. Remember to empty this as frequently as you can to avoid the drawer getting clogged up with the used pods. When disposing of our Nespresso compatible pods remember that they can be recycled unlike the majority of other brands. They can be recycled in your ordinary recycling bin/box for plastics. 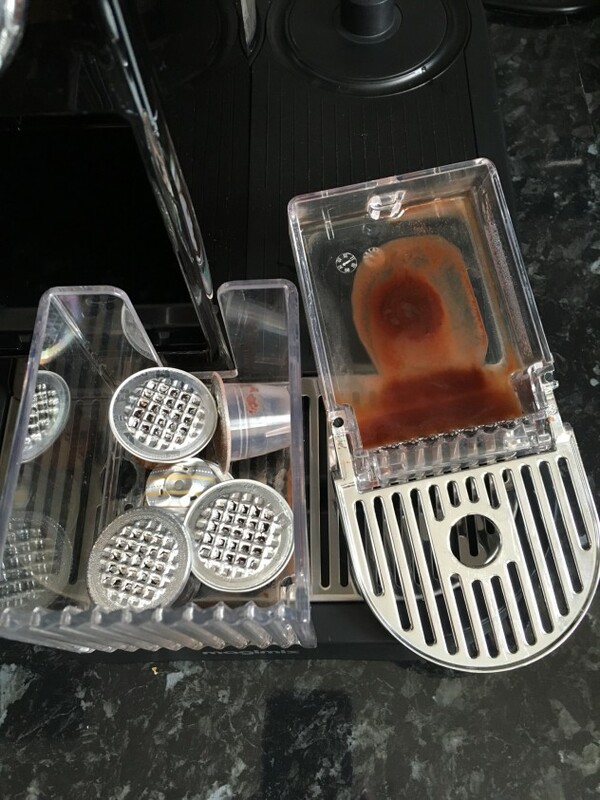 We hope this article has given you a better insight as to how to keep your machine in great condition whilst using nespresso compatible pods. The pods sold at mugpods.com are compatible with all current Nespresso machines with millions of pods sold worldwide.